The Schedule of the JEE (Advanced) 2019 has been announced. The exam, according to the latest notification by IIT under the directives of the Joint Admission Board, will be held on 19th May 2019. JEE (Main) 2018 will be administered by the CBSE on behalf of the JEE Apex Board on 20th May 2019. For further information about JEE (Main) 2019,candidates are recommended to visit www.jeemain.nic.in. 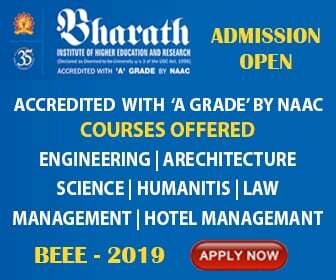 Successful candidates will be granted admission in ISM Dhanbad and one of the following IITs: IIT Bhubaneswar, Bombay, Delhi, Gandhinagar, Guwahati, Hyderabad, Indore, Jodhpur, Kanpur, Kharagpur, Chennai, Mandi, Patna, Roorkee, Ropar, Varanasi and ISM Dhanbad.